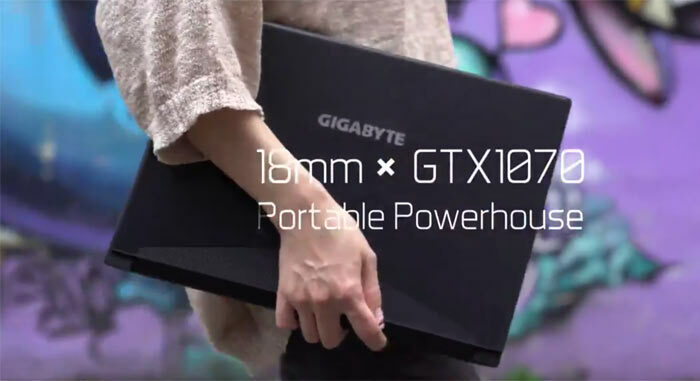 Today Gigabyte has published a teaser video and dedicated microsite highlighting its refreshed Aero 15 and Aero 15X laptops. These stylish gaming laptops were previously reviewed by HEXUS in 2017. To refresh your memory, the Aero 15 and 15X are very similar in base spec but are differentiated mainly by the GPU equipped - an Nvidia GeForce GTX 1060 and GTX 1070 respectively. Furthermore, the Aero 15X came out as an Nvidia Maq-Q design in late September last year. Previous Aero 15(X) specifications saw the laptop employ a 15.6-inch FHD 1920x1080 wide viewing angle anti-glare display LCD with X-Rite Pantone certification. These had 5mm bezels. The refresh models mark a big change in the display department. 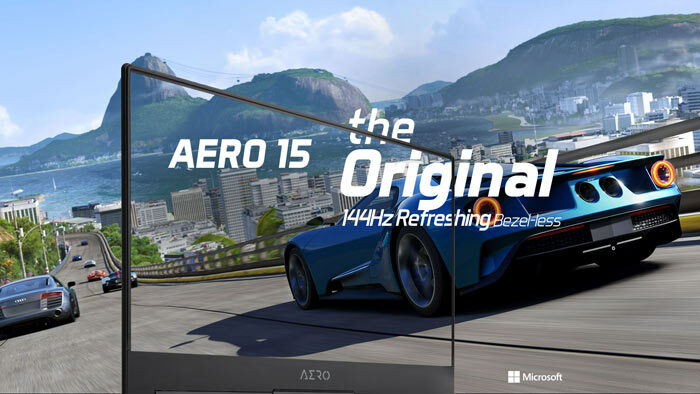 According to the preview site, buyers will have the option between two new high performance displays; a bezel-less 144Hz panel, and a 4K UHD IPS panel with AdobeRGB 100% and X-Rite Pantone certification. Gigabyte claims its new Aero 15(X) models will be the first to ship with a bezel-less 144Hz panel. The greatest benefit of this, presumably FHD, display will be in delivering smooth gameplay "without annoying motion-blur". Unfortunately, there is no info on whether the display is Nvidia G-Sync compatible. 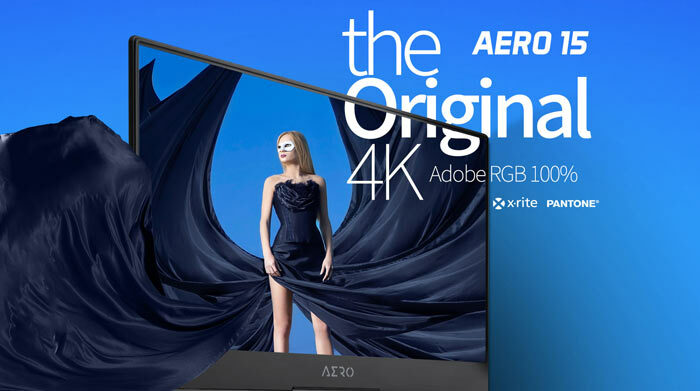 Meanwhile, if your priority is for higher-res colour accurate visuals over gaming frame rates, you might be more interested in the 4K UHD panel with AdobeRGB 100% and X-Rite Pantone certification. With the 3rd April launch schedule refresh machines Gigabyte highlights the following other new/improved features; Advanced Ambient Light Sensor for smart screen energy saving, an even thinner chassis for both models, N-Key rollover keyboard, Dolby Atmos sounds, and a new UHS-II card reader. Gigabyte doesn't mention any upgrades in other key performance components like CPU, memory, or storage. Last year's models sported 7th Generation Intel Core i7-7700HQ (2.8GHz-3.8GHz) processors, 8GB/16GB DDR4 2400 2x slots (Max 32GB), and 2x M.2 SSD slots (Type 2280, supports NVMe PCIe X4 & SATA). 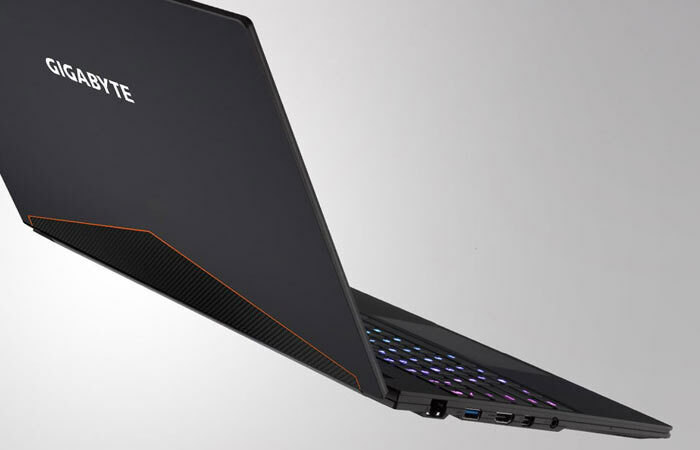 As per the headline, these refreshed Gigabyte Aero 15(X) machines will launch on 3rd April. We will find out if there are any other key spec changes, and availability and pricing, at that time. Very cool. I sure wish it had a 9th gen INTEL proc in it. But, I suppose ill have to wait until next year for that.